Whether you’re a seasoned internet veteran or a new reseller looking to make a big splash this year in the web hosting space, the most important part of your business is a good website. A website that is highly functional, fast and loads lightening quick. We here at Name Hero can help with all of those things and in this post, we’re going to show you how to develop a website in 2017. If you’re a webmaster that is HTML savvy and a PHP expert, we’re going to put it to you bluntly – stop coding! You’re wasting valuable man hours that you could spend marketing your business and attracting new customers. If you’re a web rookie that doesn’t know where to start, you’ve found step one right here. It’s 2017, with WordPress and Name Hero, we can get you online quick and earning money almost immediately. 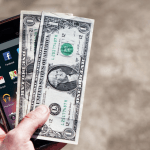 We can get you online for under $100 a year! As with anything, the sky is the limit and it really depends on what you’re trying to do. However, our goal is to get you going as cheap as possible with a website that is professional looking with performance that all of your favorite websites use. 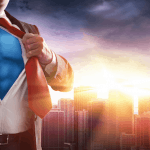 Part of our Heroic Mission is to save you money, minimize potential losses and avoiding overspending. That’s why we’re going to show you how to get online for under $100 a year and give you the option to scale up at any point! When prospective customers come to us with quotes they’ve received from professional Web design companies for thousands of dollars to create professional and powerful websites, all we can do is shake our heads collectively. Throw the quotes away and put the money back in your pocket! 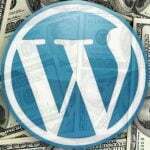 WordPress is free and is the most popular website platform in the world. It powers nearly 28% of all websites on the internet. Not only is WordPress free, powerful and popular but it comes with thousands of website designs and extensions. It is extremely flexible and works with almost every third-party tool and service available to website owners. WordPress is what we use and the chances are, one of your favorite websites uses it as well. The most common mistake beginners make is trying to hire an expensive web developer when they could save their money by doing it themselves with a self-hosted WordPress website here at Name Hero. As soon as you register your domain name, you’re already on your way to creating your WordPress website as the free content management system is available with all of our plans and can be installed by one click. Click here for detailed instructions on how to quickly and easily install WordPress with the click of a mouse. A self-hosted WordPress.org site is the perfect solution. It comes with thousands of designs and add-ons which allow you to create any kind of website you can think of. WordPress is free for anyone to download and use to build any kind of website without any restrictions. WordPress is free but you will have to pay for a domain name and hosting, but luckily for you, we’re really good at those two things. 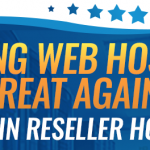 Some may say we’re virtual Super Heroes that are Making Web Hosting Great Again! A domain name is your website’s address on the internet. This is what your visitors/prospective customers will type in their browsers to reach your site (For example, namehero.com or google.com). There are tons of extensions you can use but .com is still king. If there is any recommendation that we’ll give it’s that you need to focus on a domain name that includes your target keywords or is easily brand-able. We here at Name Hero chose the latter but if you’re looking to get your photography business online, try to find a domain with photography in it. Or if you want to be like us and you’re a photographer whose name is Cliff, how about CliffsPics.com? We have detailed instructions on How to Register a Domain Name. Once you have decided on a package, head on over here to learn How to Signup for Web Hosting. There are a variety of ways to install WordPress. You could simply head over to WordPress.org, click the “Download WordPress” link and upload the folder directly to your server or you can use our simple one click installation. Here’s How to Install WordPress using your Name Hero account. Once our Heroic Quick Install has installed WordPress on your website, you’ll see a success message. You can login to your WordPress site using the admin username and password you set up. Now it’s time to make it look professional. While the default theme is fully functional, it’s not very appealing. But have no fear, there are literally thousands of free and paid WordPress themes waiting for you to choose that you can install and get an instant professional website online. You can change your theme from the WordPress admin dashboard. Visit the Appearance » Themes page and then click on the “Add New” button. On the next screen, you’ll have instant access to search through thousands of free WordPress themes that are available in the official WordPress.org themes directory. You can sort them by popular, latest, featured, as well as other feature filters (i.e industry, layout, etc). Once your theme is installed, you can customize just about anything by clicking on the Customize link under the Appearance menu. This will launch the theme customizer where you will be able to change your theme settings with live preview of your website. We’ve found users like this approach because they can view their changes in real time and best of all, it requires no complicated coding. Even professional web developers have turned to this approach because it saves valuable time and money. By default, WordPress shows your blog posts on the front page of your website. You can change that in the WordPress admin area and just about anything else. To get started adding content to your website, make some pages. If you don’t have enough content to fill them out, don’t worry, you can edit and update later. 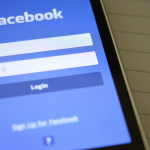 Adding posts will be the main mechanism of adding content for most users. In fact, you’re reading a WordPress post. To create a post, navigate over to Posts » Add New in your WordPress admin area. This screen is very similar to what we have above when adding pages. You can format posts however you would like. You can click on the save button to store your post as a draft or click on the publish button to make it visible on your site. We’ve given you a good overview of how to get online, so we’ll stop and let you get to work. Once you accomplish all of this you’ll have the foundation for a finely tuned machine that is ready to help you meet your financial goals. Seriously, just by doing these steps you are on your way to a real business that will generate real revenue. In 2017, gone are the days of overpaying Web design firms or spending countless hours trying to learn how to code. 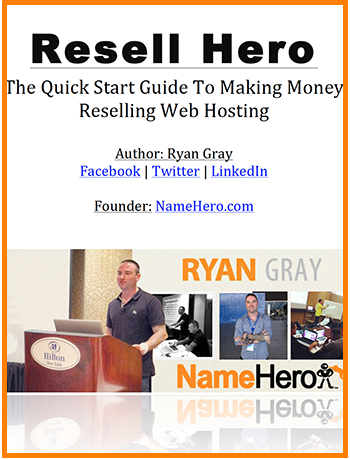 With Name Hero and WordPress you can do just about anything. We hope this post has helped and are always around to answer questions should you have them.